- You must have a USB stick at least 2GB in size. - The MGO2R Launcher is required to connect to the 1.34 MGO2R server. - You follow this tutorial at your own risk, I'm not liable if you attempt this and fail. Copy and paste the MGO2R Launcher and 1.34 Patch Package to the root of your USB stick. Select MTU: Automatic - Proxy Server: Do Not Use - UPnP: Enable- Press the X button to save settings. When the copying is complete, press X to continue on and allow the MGO2R Launcher to create the 1.00 game data. Once the game data is created, exit the game and return to the XMB menu. You are allowed to reclaim one account or create a new account entirely. Unclaimed accounts will be deleted. If you wish to reclaim your account you must simply enter your accounts login details. Game ID must be at least 8 characters, alpha-numeric only. Password must be at least 4 characters, alpha-numeric only. Write down your login details! 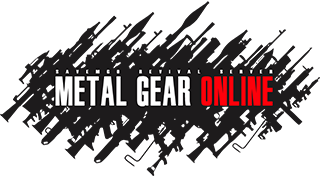 Start the MGO2R Launcher and enjoy the Metal Gear Online Revival Server v1.34. - You are allowed only one account per person. - You will need approximately 4GB of free HDD space. - The MGO2R Launcher is required to connect to the 1.34 MGO2R server. All other set-up tutorials are now obsolete. - All information and content in this tutorial is subject to change during release.